• Prohibits manufacturer and distributor from imposing surcharges on dealers for reimbursement of increased parts payment by the manufacturer. • Allows dealers to separate reimbursement for parts and labor by changing the language of the law to read “parts or labor”. The practical affect is that dealers will no longer have to submit to labor adjustments when applying for retail rates reimbursement for parts. • The list of routine exemptions from the retail rate calculations has been expanded substantially to exclude accessories, repairs of damage caused by collision, road hazard elements, vandalism or theft, safety inspections, manufacturer/distributor reimbursed goodwill or policy repairs or replacements, and the replacement of tires from the retail rate calculation. • Prohibits, in more clearly defined terms, the direct sale into the state by distributors and manufacturers. 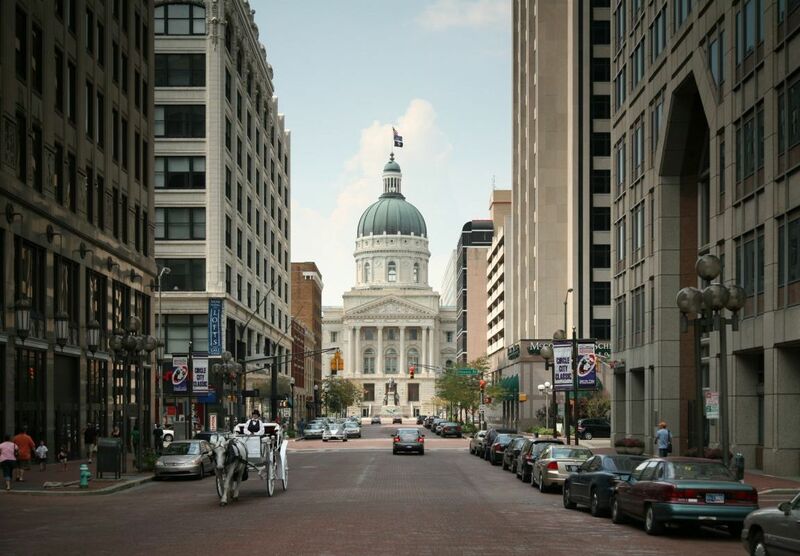 Additionally, subscription programs are temporarily banned in Indiana until May 1, 2019, to allow time for a legislative study commission to research and comment on the issue. • The Act inserts protections and enhancements for dealers in obtaining warranty and incentive payments. It enhances the prior statute regarding the payment of claims under a warranty or incentive program when a claim contains a technical or clerical error that does not calling into question the legitimacy of the claim by allowing the dealer the chance to provide reasonably sufficient documentation of a good faith attempt to perform the work in compliance with the written policies and procedure of the manufacturer. • The Act improves the ability of the dealer to contest improper chargebacks and simplifies the chargeback appeal process. The manufacturer must provide specific grounds on which the claim is being charged back and allow at least 30 days for the dealer to provide sufficient documentation. • Dealers will not need specific approval from the Department of Financial Institutions (DFI) in order to sell GAP after June 30, 2018. Rather, a dealer must simply comply with Ind. Code § 24-4.5-2/3-202. • Dealers will no longer be required to confirm whether a GAP Administrator has been approved by DFI. • For GAP Waiver agreements entered into after June 30, 2018, there is no maximum consumer cost for refundable waivers. Any waiver sold after this date with a consumer cost in excess of $400 must be refundable using a method that is no less favorable to the consumer than a pro-rata basis. As such, cancellation fees remain prohibited. o A charge for a GAP agreement. • Requires an auto dealer to be in good standing with the Department in order to maintain in good standing a dealer’s license with the Secretary of State’s auto dealer services division. • Makes it the law that a lien payoff must be made within 10 days of the date a vehicle is delivered to (trade-in) or sold by a dealer. • Updates the language to the title delivery affidavit. o Copy of rebuilt vehicle disclosure required by 17 IC 9-32-13-6. • New law authorizes the establishment of an electronic lien and title transfer program. • New law will requires a person who has a lien or encumbrance that is notated on an electronic title to notify the bureau of motor vehicles (BMV) and the person listed on the certificate of title as the owner or the person acting as the owner’s power of attorney that the lien or encumbrance has been satisfied or discharged. • New law will further require the BMV to enter a notation recording the satisfaction or discharge of a lien or encumbrance when the BMV receives a notification from the lien holder for electronic titles. If the lien holder has physical possession of the certificate of title, then the holder must note the discharge of the lien on the certificate of title over the holder’s signature and deliver the certificate of title within 10 business days after receiving final payment. Copyright © 2018 Automobile Dealers Association of Indiana, All rights reserved.